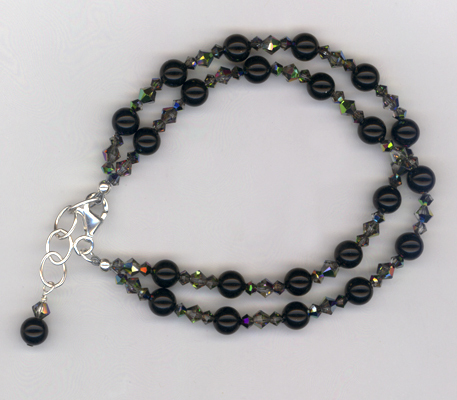 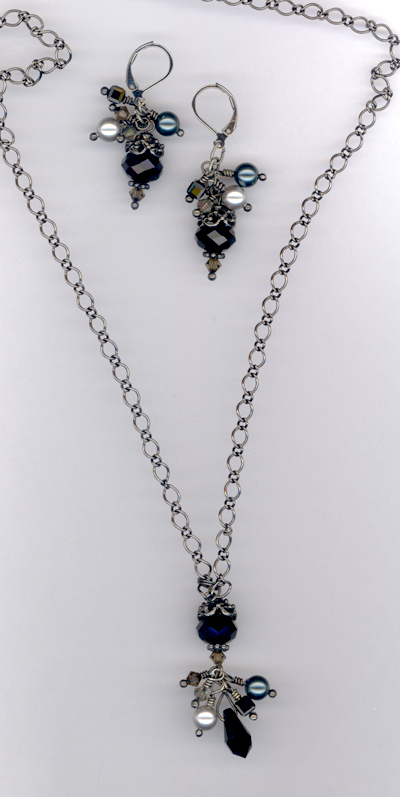 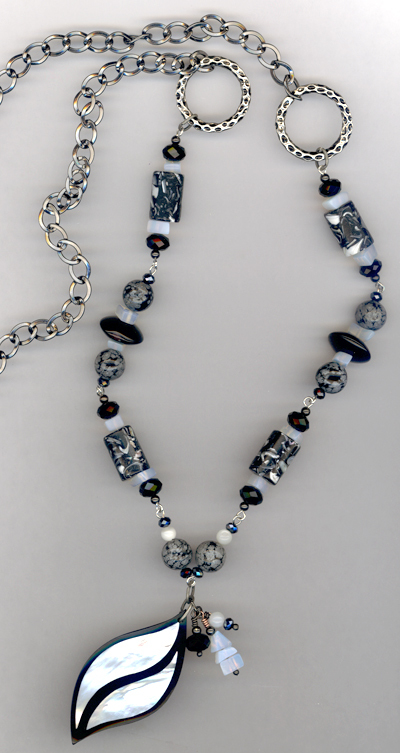 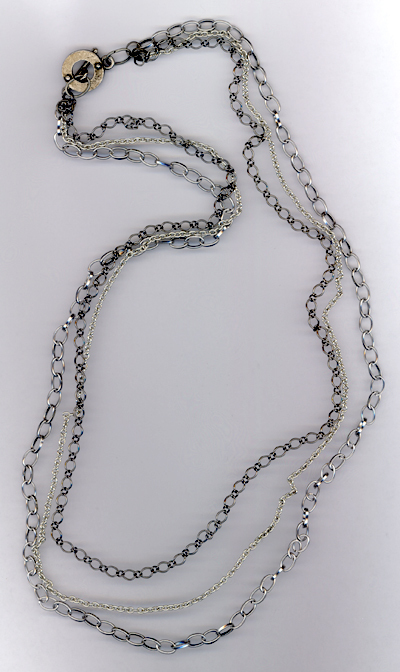 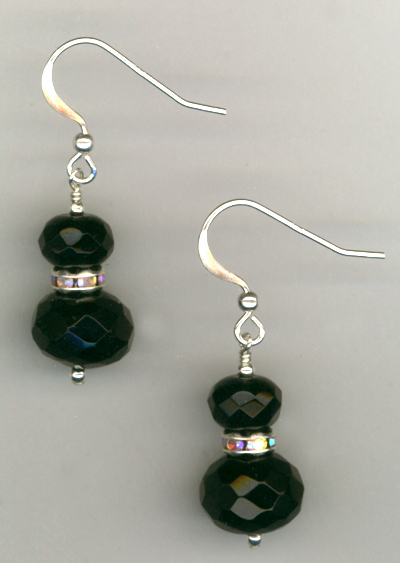 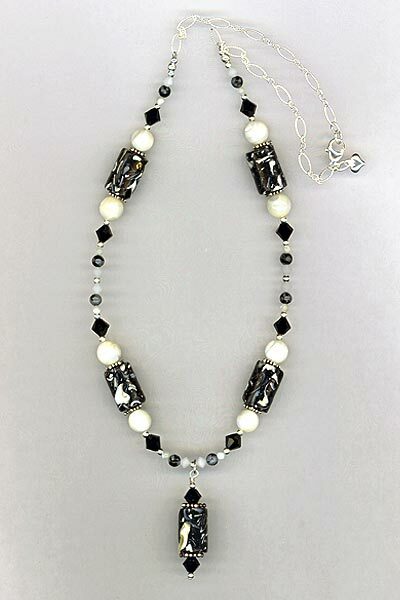 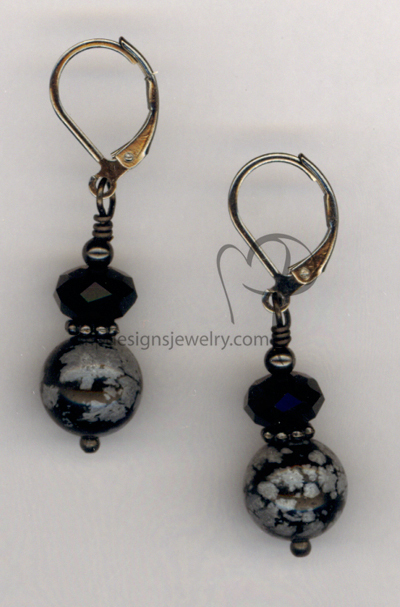 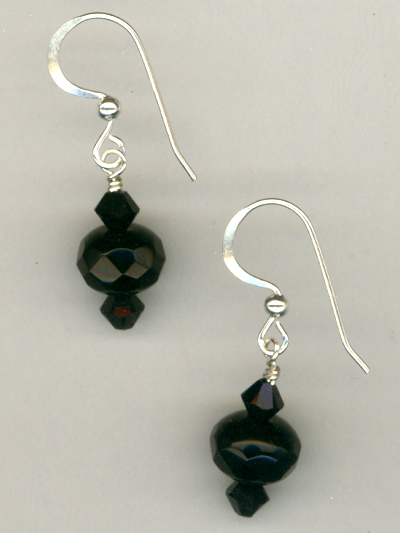 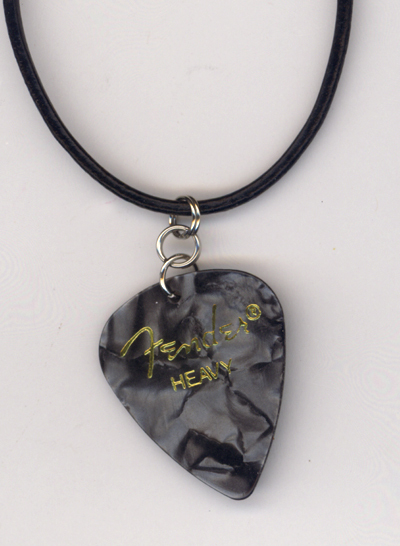 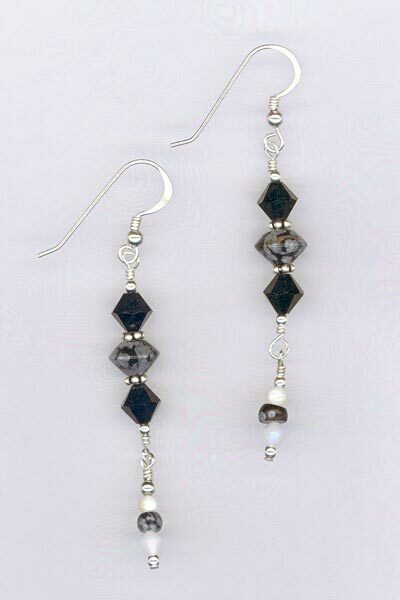 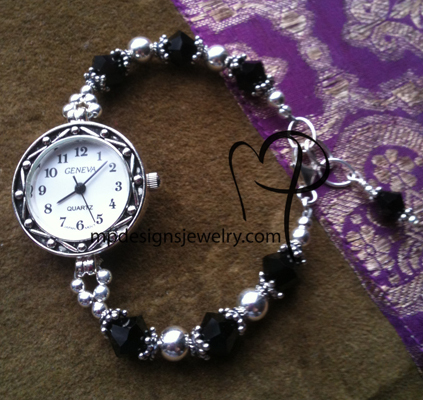 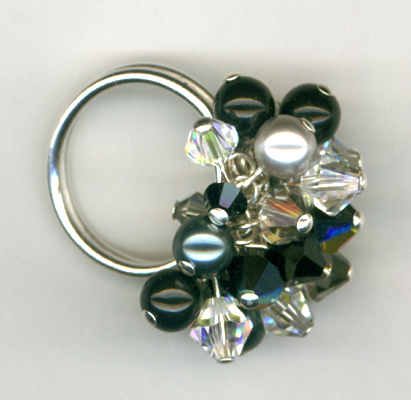 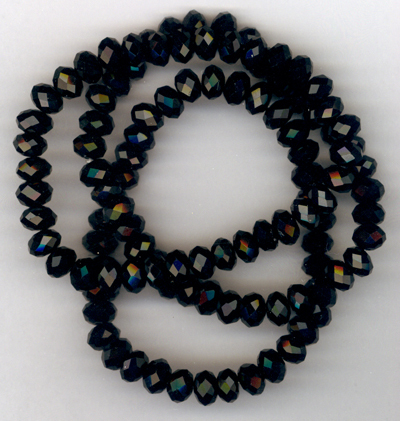 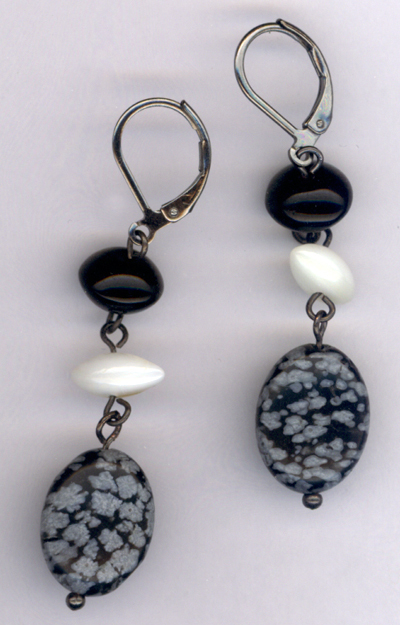 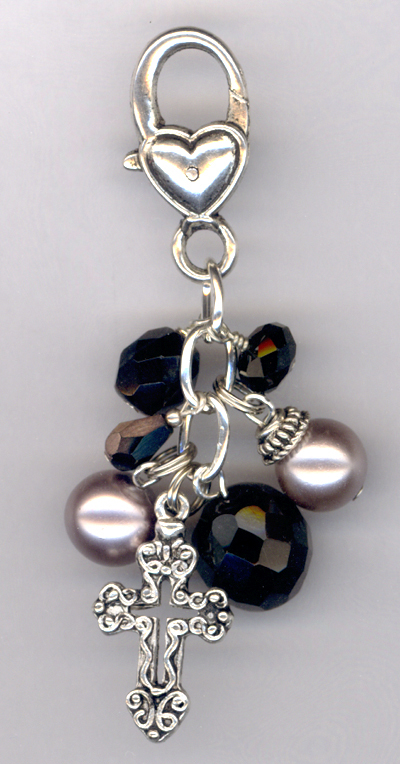 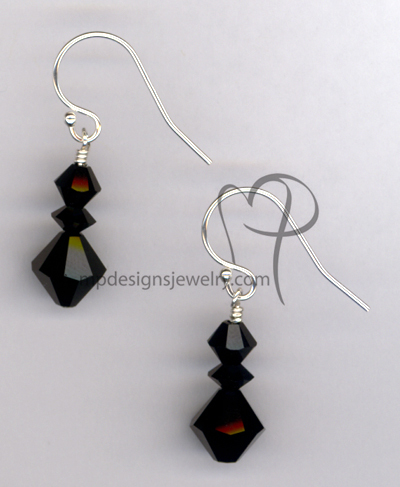 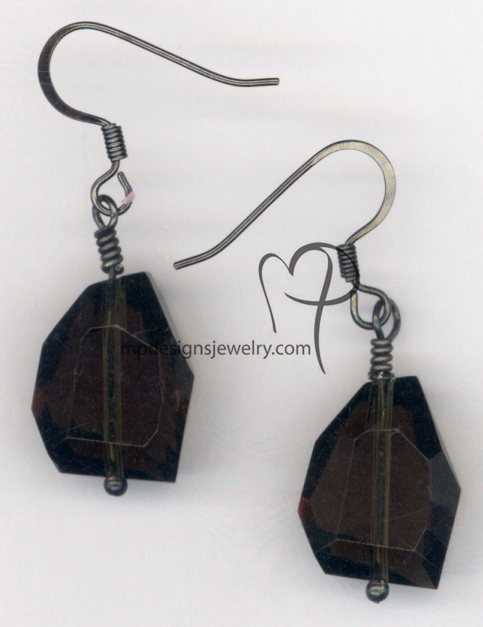 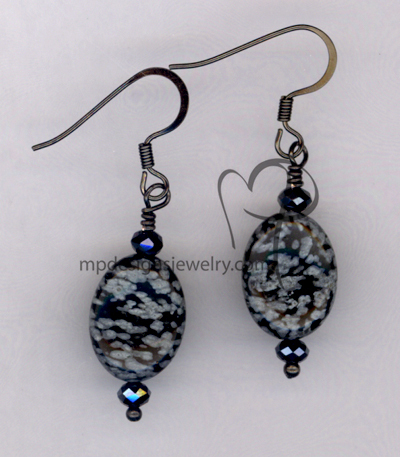 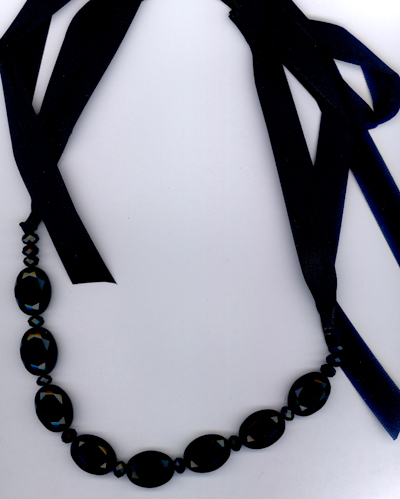 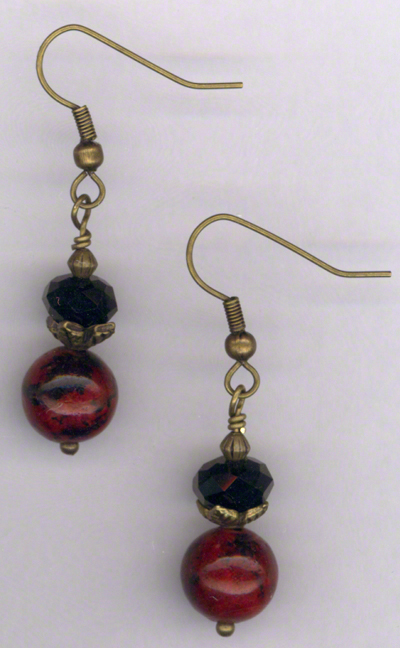 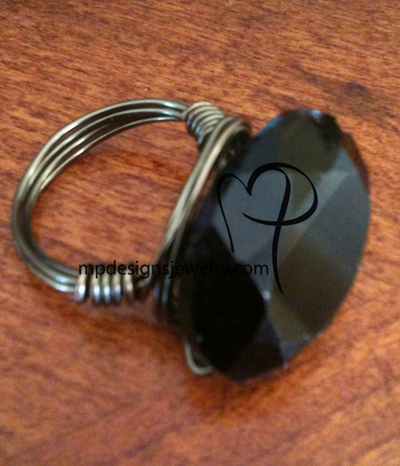 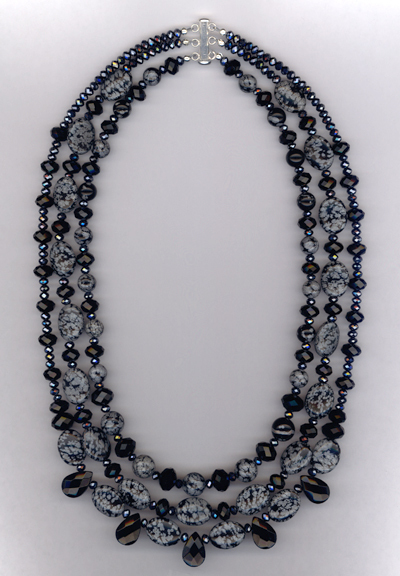 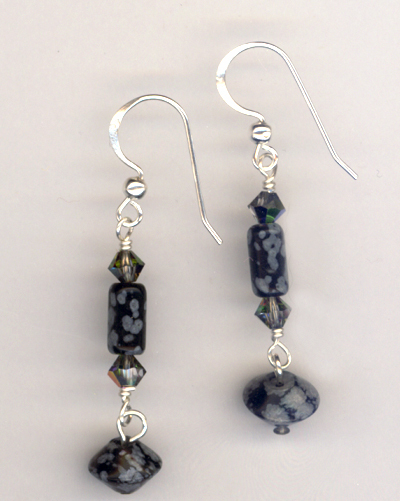 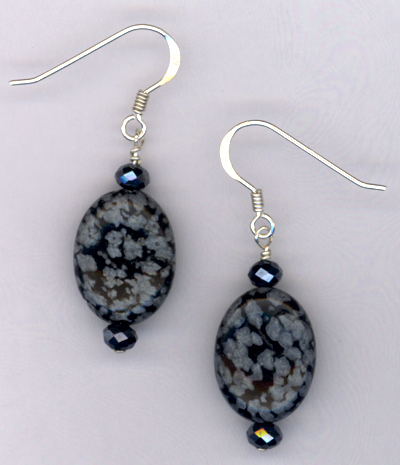 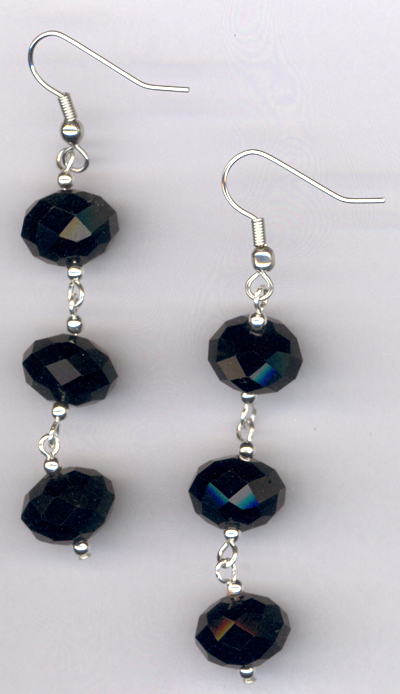 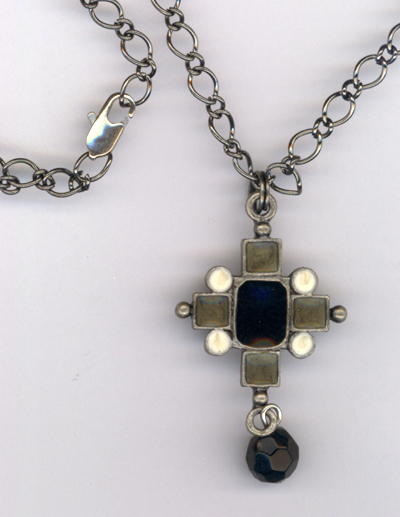 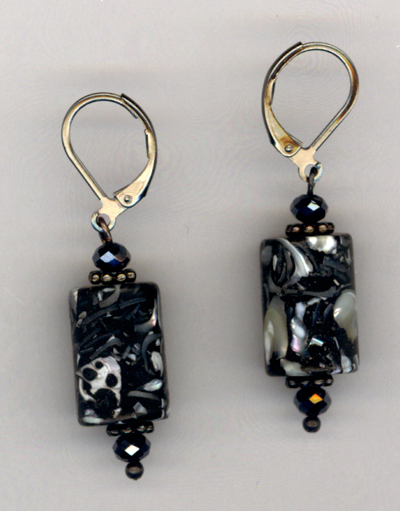 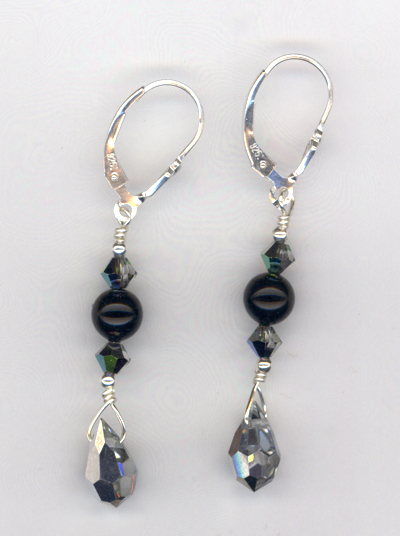 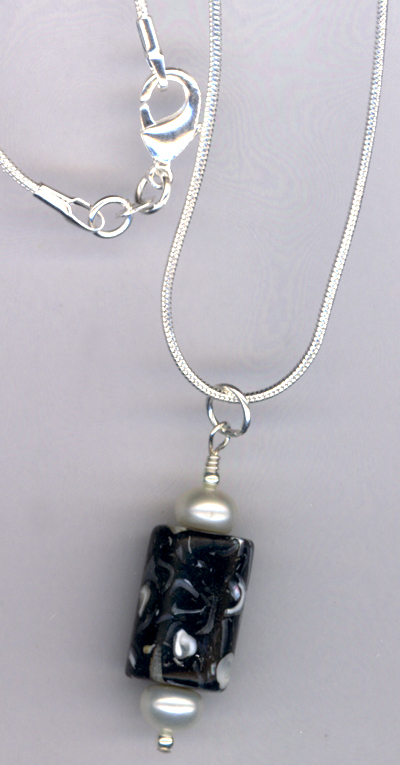 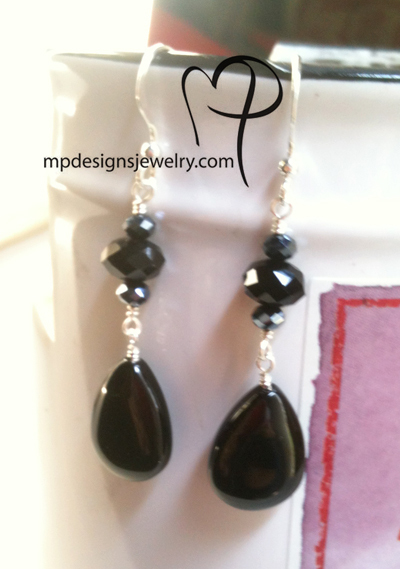 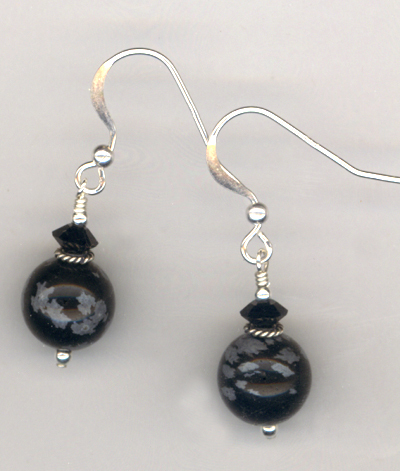 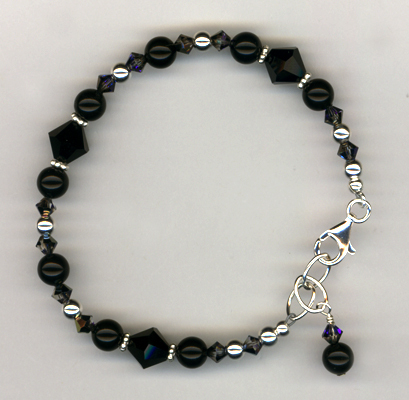 Hand beaded Obsidian, jet Agate, gray Jasper and accented with black crystals. 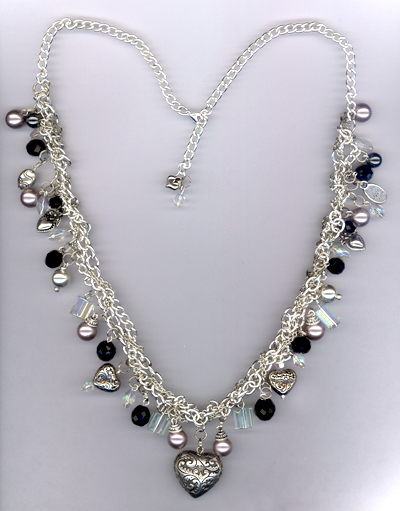 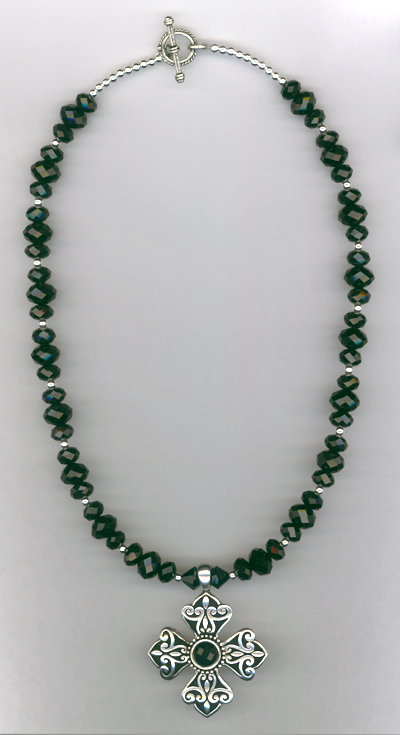 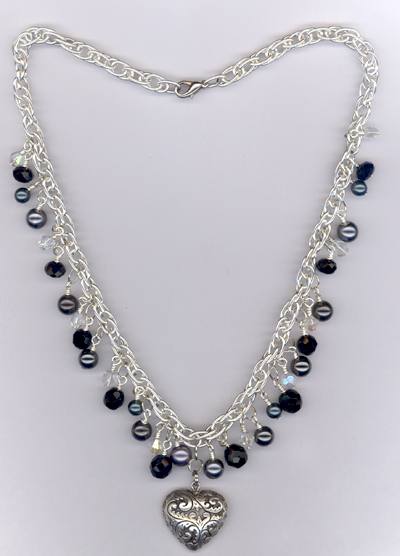 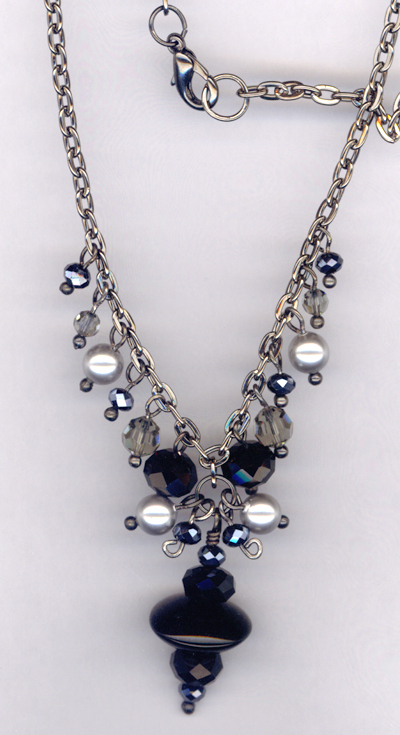 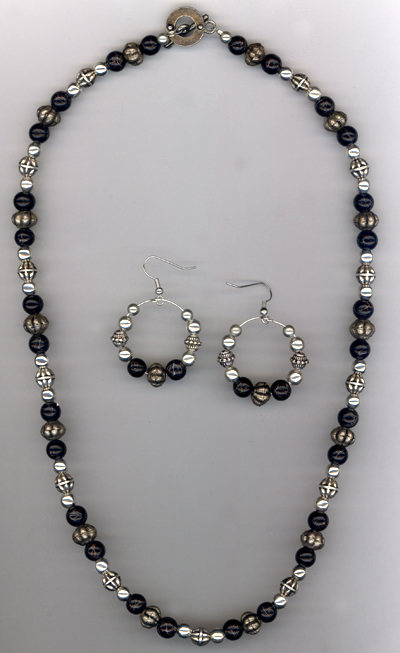 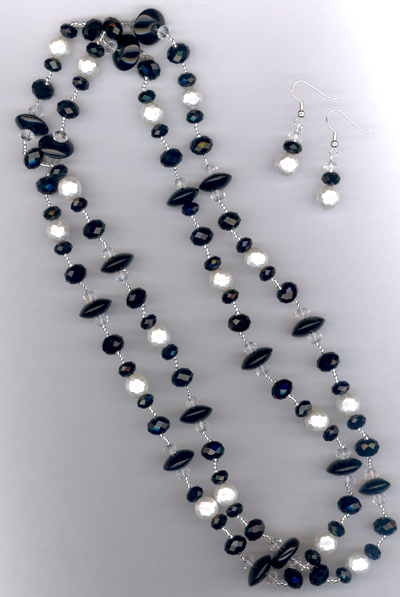 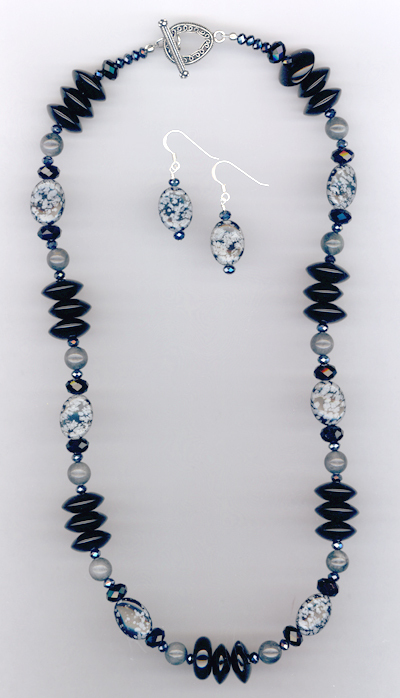 This is the perfect gemstone crystal necklace/earrings set to dress up a pair of jeans or to bring elegance to any outfit in the evening. 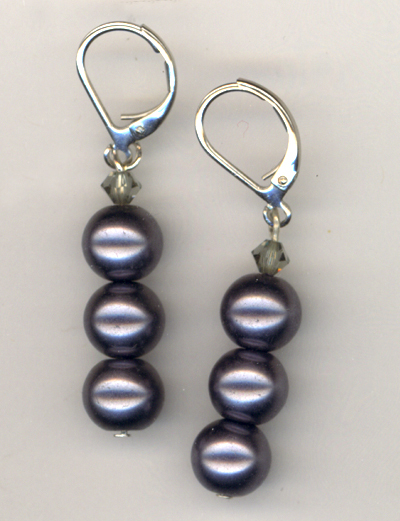 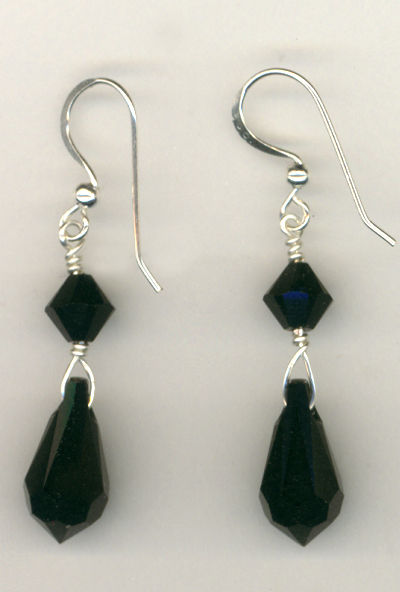 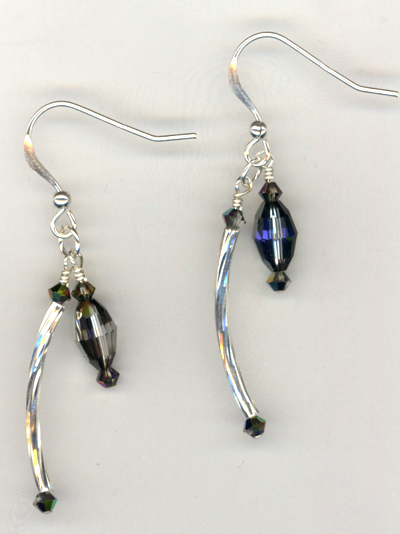 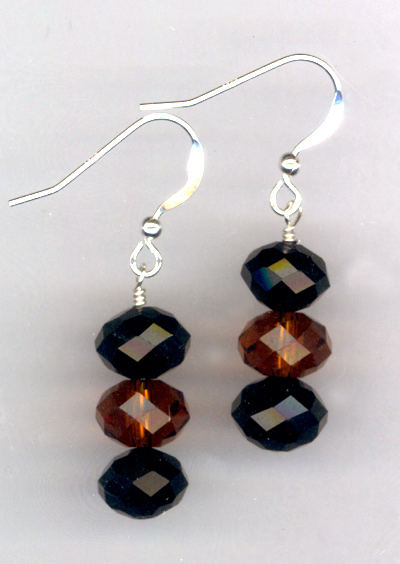 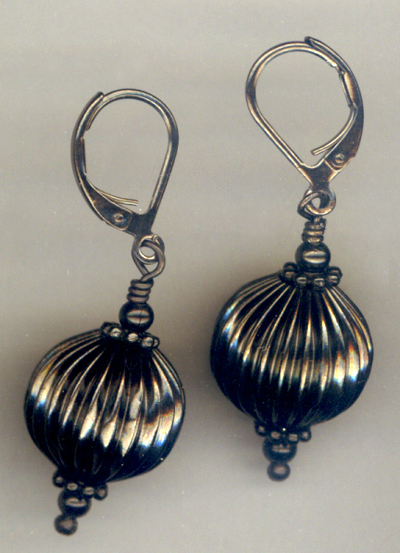 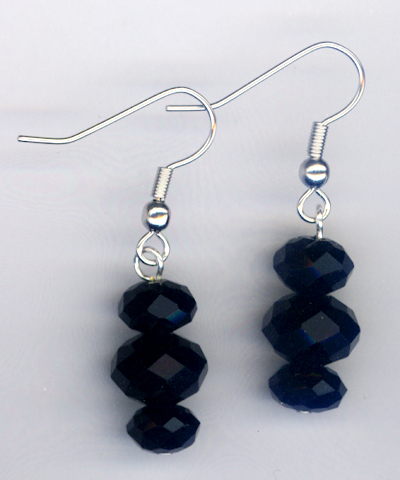 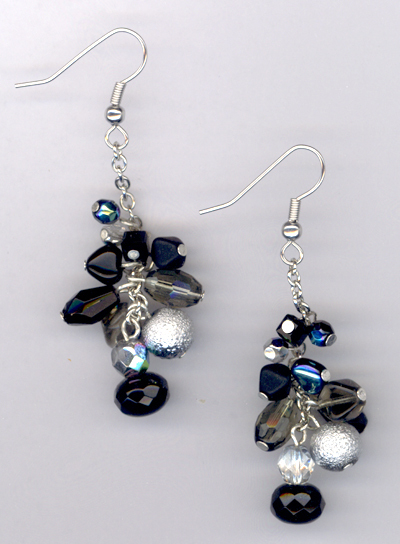 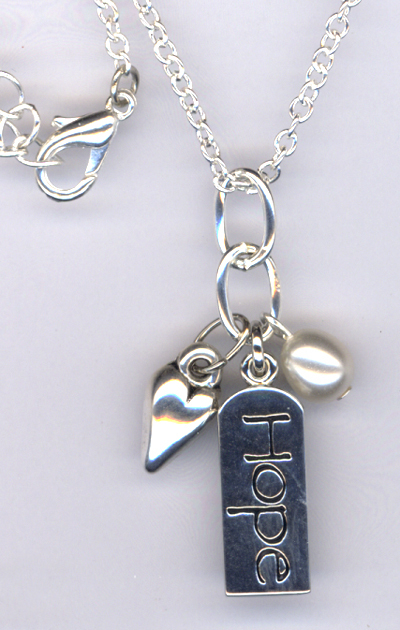 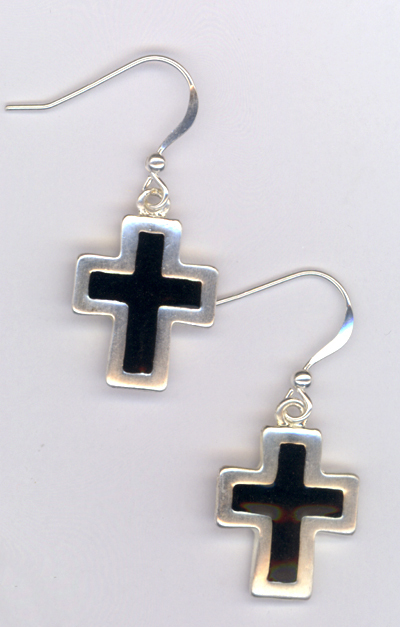 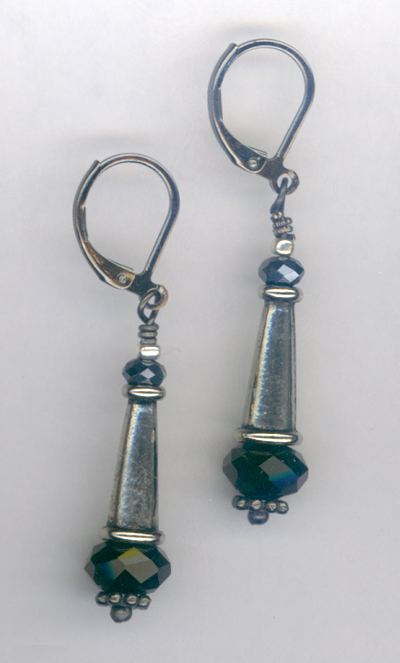 The filigree toggle closure is silver metal and the earrings are completely sterling silver.